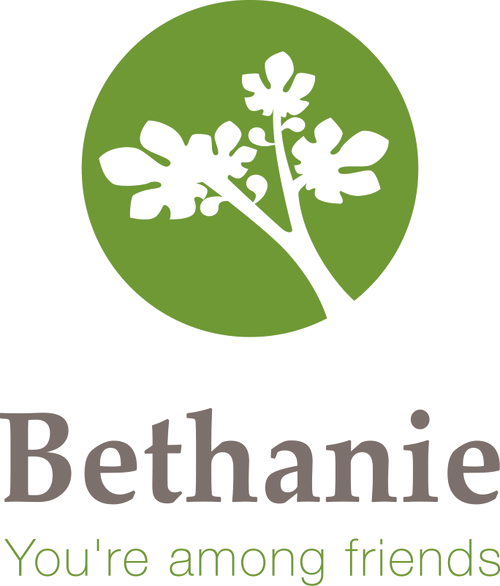 The Bethanie Group is one of Western Australia’s largest providers of aged care services. It employs over 1600 people and has been in operation for over 60 years, offering residential and community aged care, as well as retirement living and affordable community housing. In 2011, The Bethanie Group appointed Stephen Becsi as CEO to the ailing organisation. The considerable stress the business was under had manifested itself in numerous ways. An internal survey in 2010 found that working relationships across the business were tense, with many employees stating they did not enjoy working with their co-workers. The company was suffering from a high level of staff turnover and absenteeism. Cooperation and collaboration were low and Bethanie’s EBITDA (per bed per annum) was 25% lower than the national average, and many locations were unprofitable. In addition to this, the organisation was struggling with issues such as an ageing workforce of semi-skilled and unskilled staff, the recruitment and retention of younger people to counter this, clinical governance, and brand. While these challenges are all typical to the aged care industry, they only compounded the problems Bethanie were facing. As Stephen commenced his role, he named changing Bethanie’s culture as his number one priority. As he said, it was not a matter of needing to improve skills, it was necessary to change behaviour and mindset to make a true difference to Bethanie’s bottom line. Stephen even went as far as to make the culture change one of his Key Performance Indicators. It was this commitment and determination that led to him partnering with Pulse Australasia. We deliver all of our services the way we would like them to be delivered to ourselvesWe promote all Bethanie services and products with integrity and enthusiasmWe take ownership for ALL our actions and responsibilitiesWe demonstrate that we are the best in what we doWe treat everyone with respect and compassionWe communicate clearly, in an honest and transparent manner. Alongside the Signature Behaviours, Bethanie initiated several programs to support the Pulse process. An Internal Culture Committee was established, providing trained advocates for the program at each site. These advocates were on the ground supporters of the Transformation Pulse, often particularly connected or influential individuals who were able to guide other staff on the “pulsing” process and the reason the program was so important. They were also encouraged to model the behaviours in “Living the Six” to help provide a clear example to all staff. Formal training was provided to all employees on a continuous basis, regardless of role or location. For new staff, information on the Signature Behaviours were given on the first day as part of induction programs. A large portion of this training dealt specifically with tangible elements, teaching employees practical skills on how to apply each of the Signature Behaviours in their daily tasks. Stephen also understood that without the active direction of management the program would not be as successful. As a result, the Bethanie Learning and Development team travelled to all locations, ensuring a consistent message and ongoing communication for all employees. As the CEO, Stephen also played a large part in this, performing regular site visits to show all staff his commitment to the cultural changes taking place. Like the advocates, these teams were also responsible for a clear demonstration of the Signature Behaviours. These programs and the presence of the advocates as well as Stephen’s own appearances, all ensured that the Signature Behaviours were in the front of the Bethanie employees’ minds at all times, not simply in the lead up to a Pulse. Together, they also formed an important element of the entire Transformation Pulse program – it is these activities that began the continuous reinforcement process. The Signature behaviours were “pulsed” over 36 months, with a pulse occurring every three months. Individuals scored themselves and their co-workers on each individual behaviour, receiving personalised reports that contrasted how they rated themselves and how others thought they were performing. While this process was confronting for employees at first, this disparity is the start of change that occurs in a Transformation Pulse. It is important to understand these reports were anonymous and actual results were only shared with the individuals. It was this process that created accountability for all employees, putting them in a position of responsibility for behavioural change. In a normal Transformation Pulse, the transformation begins in earnest around the time of the second pulse, as employees come to understand and trust their results. In response, they will seek to become more aligned with the Signature Behaviours and the positive changes will begin to reflect in business outcomes. In the case of Bethanie, these correlations became clear almost immediately. As part of the Transformation Pulse, Bethanie reviewed the results alongside other traditional measures of business performance. The results were clear. Overall staff engagement increased, with a decline in absenteeism and the cost of agency staff to cover shifts dropping as a result. Retention rates climbed from 58% to 75%. Issues of clinical non-compliance dropped from 29% to zero. As importantly, there were also increases to profitability. EBITDA per bed per annum figures more than doubled from $6,000 to $15,000, a figure 60% higher than the national average. Other measures such as OH&S claims and occupancy rates were also examined, with positive trends emerging across these as well. To begin with, the project only involved 150 people, it was later expanded to include all staff members. This phased rollout is one of Stephen’s only regrets. The decision was made due to a lack of funds, but he believes if he had been able to initially include the entire organisation, the speed of change would have been vastly improved. There was also another large and unexpected consequence of the Transformation Pulse. In the three years it ran, The Bethanie Group lost 260 staff members, representing over 16% of their total numbers. However, these were the people who didn’t want or like the changes being made, and the roles were replaced quickly with staff who wanted to be working at Bethanie and subscribing to Bethanie’s Signature Behaviours. Many new staff members had heard of the changes made at Bethanie from friends and family and applied based on this word of mouth. As CEO, Stephen’s primary goal was to promote the link between the culture of an organisation and the business outcomes. With Bethanie, this focus on culture had dramatic results, both for the company but also for him personally. For leading the transformation of Bethanie, Stephen was recognised with many nominations and awards including finalist CEO of the Year 2013 (CEO magazine), finalised in the Australian Human Resource Institute Lynda Gratton CEO of the Year 2013, and winner of the ACI Aged Care Industry most Influential Business Leader 2013. To learn more about the Transformation Program, read on here.